Webster County KY-ASAP True Blue DFC graduated from the National Coalition Academy in Washington DC on Tuesday, February 5. 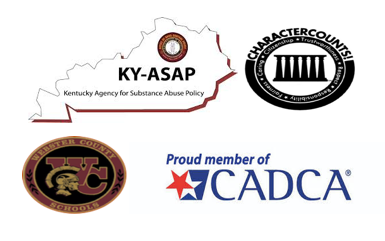 The National Coalition Academy (NCA) is a comprehensive training program developed by CADCA’s National Coalition Institute and teaches leaders “what they need to know” (the core competencies) and “what their team needs to do” (the essential processes) to establish or maintain a highly effective anti-drug coalition. The NCA is designed specifically for coalition staff and volunteer leadership. It combines three weeks of classroom training, three reinforcement on-line sessions and access to a web-based workstation. The Academy’s training curriculum is organized within SAMHSA’s Strategic Prevention Framework. By the end of the year-long training, in order to graduate, coalitions will have developed five essential products (1) a community assessment, (2) a logic model, (3) a strategic & action plan, (4) an evaluation plan and (5) a sustainability plan.